Sterling Silver Thick Chain Necklace 18"
This chain necklace is featured in the Tacori 18K925 collection. 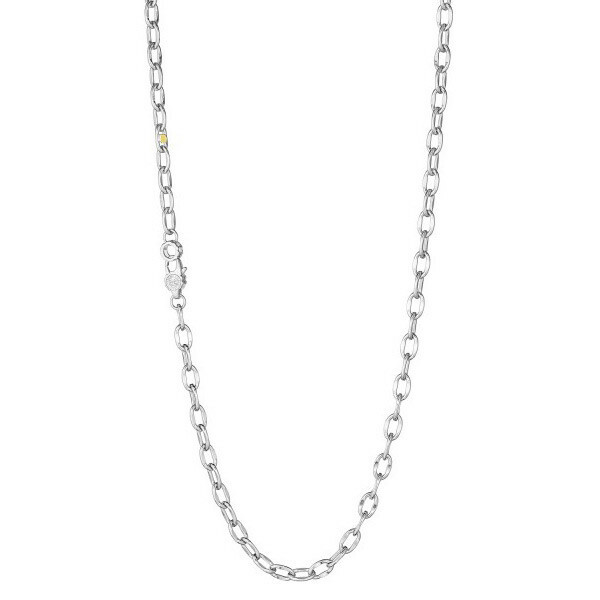 It is a simple yet chic chain in a dazzling sterling silver setting. Wonderful alone or with any one of Tacori's pendant enhancers, this necklace is truly iconic and glamorous!